Why Hire a Certified Elder Law Attorney for Medicaid Applications? Home › Blog › Why Hire a Certified Elder Law Attorney for Medicaid Applications? Managing the ins and outs of Medicaid Managed Long Term Services and Supports can be complex and overwhelming. Just determining your eligibility alone can be a daunting task. So why not ask for help? Hiring a Certified Elder Law Attorney to assist with Medicaid applications can provide many benefits, allowing the application process to be worry-free and easy. A professional will assess your overall financial situation and determine if any exemptions or strategies exist, explain local laws and regulations to you, and oversee the whole process along the way. First, we’ll cover how to apply for Medicaid, followed by a more detailed look at the top reasons to hire a Certified Elder Law Attorney when you’re beginning to navigate Medicaid Managed Long Term Services and Supports (MLTSS) applications. You first need to understand that filling out an application for yourself or a family member does not automatically mean that you qualify for MLTSS. The application is the step you take after you have qualified for coverage. There are financial, age or disability, and clinical requirements that must be met to be eligible. If you meet the qualifications for MLTSS to apply for coverage in New Jersey, your Certified Elder Law Attorney will contact your local County Board of Social Services. 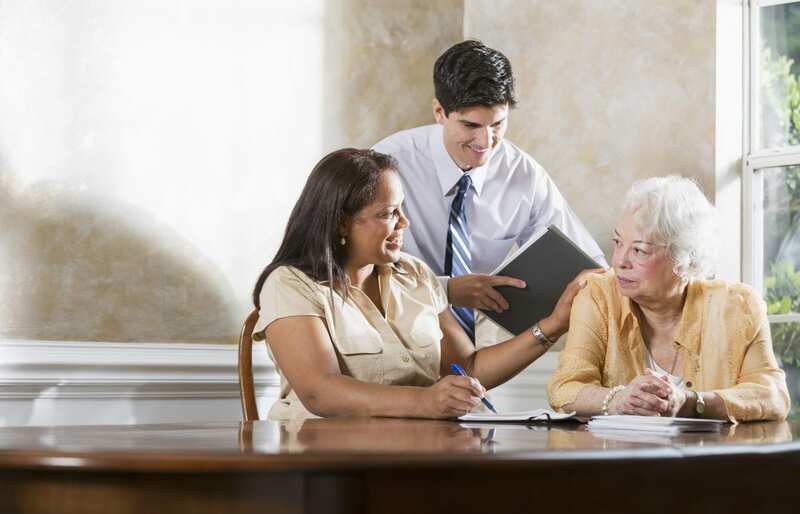 A Certified Elder Law Attorney can assist you with these steps to ensure that you are contacting the right agency and approaching the Medicaid application process knowing that you meet the requirements for coverage. How long a Medicaid application takes can vary, so an attorney can give you a time estimate and can help speed things up in the process. You may think hiring an attorney would cost more than doing things on your own. However, a Certified Elder Law Attorney will likely save you thousands of dollars in the long run. If you fill out the application yourself, you and your family may learn that you didn’t meet the eligibility requirements, or mistakes were made that need to be corrected at a price. A Certified Elder Law Attorney helps you save as much as possible by ensuring that everything is done right the first time. Plus, you can get coverage faster with the help of a legal professional, you’ll save on expensive nursing home or assisted living care in the meantime. The average monthly cost of nursing home care in New Jersey is over $10,000, so this is not something to overlook. Moreover, there are often important strategies that enable you to save even more money. A Certified Elder Law Attorney will advise you on important timing issues, exempt assets to purchase, or even Medicaid Compliant Annuities which allow one to avoid financial impoverishment and perhaps leave a legacy to children. Certified Elder Law Attorneys ensure that you or your family member receive the best care possible. A Certified Elder Law Attorney also assists with introducing you to the best geriatric care managers and caregivers. Guidance and education may also be encouraged or offered by an elder law firm. At New Jersey Elder Law Center, we provide our clients with a Client Care Coordinator. This important professional guides families on all non-legal aspects of their long term care needs and introduces them to other helpful professionals. Yes, Medicaid is a federal program. However, states administer Medicaid individually, so the particulars vary from state to state. These can include qualifying assets that you could claim as exempt, meaning ownership of these assets will not prohibit you or a family member from being eligible for benefits. In New Jersey, examples include owning one car or having an irrevocable funeral trust. Certified Elder Law Attorneys are experts in these matters and know the specifics of laws in your state. They will go over every aspect of your financial situation and determine what will qualify as exempt. You don’t want to take a chance on making a mistake just because you’re unaware of local laws and regulations that are there as a benefit to you. If you have questions about MLTSS options for you or a loved one, don’t leave coverage and costs to chance. Get in touch with our team at NJ Elder Law Center at Goldberg Law Group to meet with a legal professional who will oversee the Medicaid application process and ensure you receive the best care possible. Contact us today to learn more about our services. ‹ What Is Medicaid Managed Long Term Services and Supports? I will continue to refer prospective residents, residents, and their families to your fine practice. I am writing to you in regard to the wonderful job performed by NJ Elder Care Law Center. They were particularly good at explaining the step-by-step tasks that I had to do in order to find a good nursing home for my wife. I know that I would not have been able to navigate successfully through the Medicaid system without their guidance and help. NJ Elder Care Law Center had prepared my personal senior citizen's legal papers very efficiently and in a language easy to understand by a person without a legal background. The NJ Elder Care Law Center, I know I have mentioned it before but I appreciated their professional and diligent work on behalf of my clients. Their work is essential to their families' future. The 10 Best lists are issued by the American Institute of Legal Council; the Best of Essex lists are issued by Suburban Essex; the Top Lawyers lists are issued by Morris|Essex Health & Life. Learn more about the selective methodology for these honors: 10 Best– Best of Essex – Top Lawyers. No aspect of this advertisement has been approved by the Supreme Court of New Jersey or the American Bar Association. NJ Elder Law Center at Mandelbaum Salsburg © 2019. Attorney Advertising. The contents of this website may contain attorney advertising under the laws of various states. Prior results do not guarantee a similar outcome.